NYC DOT's Street Ambassadors were present at this year's Shape-Up, Bushwick community celebration in Irving Square Park on Brooklyn-Queens Day, June 9, 2016. 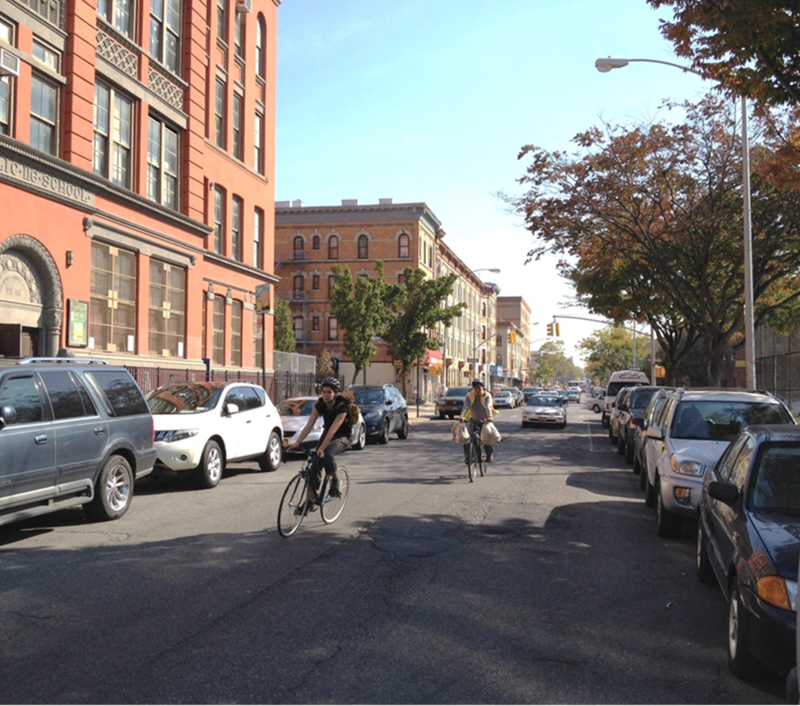 On Wednesday, February 17, 2016, NYC DOT representatives presented the proposal for the first phase of the Bushwick Community Bicycle Network to Brooklyn Community Board 4. NYC DOT joined neighborhood organizations, agencies, and elected officials from Bushwick and Williamsburg in a parade down Knickerbocker Ave followed by a community resource fair and celebration in Maria Hernandez Park. NYC DOT representatives led a lesson about bike planning with students from El Puente Bushwick Leadership Center on Central Ave.
On Saturday, June 6, 2015, NYC DOT representatives tabled at the Arts in Bushwick Community Day, an event for Bushwick Open Studios in Maria Hernandez Park. On Thursday, June 4, 2015, NYC DOT representatives tabled at Shape Up, Bushwick!, a neighborhood celebration for Brooklyn-Queens Day in Maria Hernandez Park. NYC DOT held its second community workshop at the Silent Barn on Bushwick Ave on May 9th, 2015. Attendees participated by idenitfying difficult streets and intersections for biking and proposing their own community bike network.